Imagine your life story isn’t what you thought it was. Whether it’s finding out you’re adopted, or that your father bribed a judge to help you win that science fair, or learning the constant bone pain that made you refuse to play sports throughout your youth was actually an easily treatable condition, it shakes up your understanding of who you are as a person. You feel like the being you were is out of alignment with the being you are—even though you’re one and the same. It’s that “How am I not myself?” question from I Heart Huckabee’s over and over, as your sense of self is dislodged from its previous place of conception, and that unmooring can leave you feeling like you don’t know yourself at all. It’s a scary thought. David Haller has just learned the illness at the center of his identity isn’t real. He’s not a paranoid schizophrenic. He’s a powerful telepath and telekinetic, and it’s shaken him to the core. For now, he has his memories to guide him to a better understanding of himself. Ptonomy’s power lets David enter his own history, in order to make sense of everything through the lens of what he now knows. It’s a way of examining all the parts of himself—it’s “a museum of you,” as Ptonomy puts it—from a distance, seeing his memories from the outside in order to know what’s inside. But as he quickly learns, there’s no such thing as truly taking a step back from yourself. You can’t ever be fully outside yourself, no matter how you try to keep your own history at arm’s length. It’s why an upsetting childhood memory can still push him to the brink of panic, no matter how many years have gone by. We can deal with pain and trauma, and process it by working through it, but we can’t ever be detached. We’re always and forever ourselves, confronting the various pieces of our identities and wondering how they could possibly fit together. 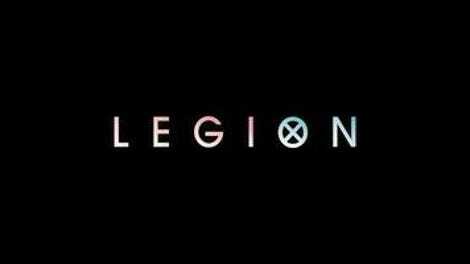 What makes Legion’s strategy in “Chapter 2” so brilliant is that this is true for all of us. You don’t need telepathic powers to find yourself unsettled by your own past, or wondering how new information changes how you perceive yourself. There’s no need to psychically enter your own memories via another mutant’s abilities in order to confront the symbolic pains of your history. We do it every time we rifle through a drawer of old papers, or open a closet door to confront old possessions—any time we reflect on anything we own, really. The things you surround yourself with are an agglomeration of how you see yourself. Your home is your museum of you. David has no home, so his only choice is to look inward. The explanation of what’s happening to David, provided by Melanie and the others, is the first step toward understanding the leaps in time and space that constantly assault his (and our) senses. But that illumination doesn’t lead to clarity—it just provides a key to puzzling out the assemblage of his life. We’re still constantly jumping forward and back in time, but with the added layer of knowledge helping to make it less disorienting. The memory work with Ptonomy and Melanie is allowing him the chance to sort out moments from his past and see them in a new way. His meeting with the therapist isn’t just valuable because it allows Ptonomy a glimpse of the kitchen explosion hiding in the glitch of the time jump; It also functions as an allegory for the loss of security David has felt his whole life. “This is a safe space,” the doctor assures David, but even then, it doesn’t feel like it. Whether he’s pushed into scouting out the room for potential thievery, as per Lenny’s suggestion, or whether it’s the growing fear from a closet door opening, revealing a darkened room behind, David is never far from fear, even if it’s just in his mind. Especially if it’s in his mind, really. As we go deeper into David’s memories, his friendship with Lenny starts to make more sense, too. Lenny was the person who not only accepted his idiosyncrasies, but encouraged them, played them up. David wants to be healthy and coherent with his sister—he wants to act “normal,” even if he knows that’s not in the cards for him—and he loves his sister for looking at him like someone who could maybe have all those standard life accouterments like a house, a wife, and a child. But with Lenny, David can indulge in every worry, impulse, and supposed delusion. He doesn’t have to ignore the voices, or pretend he’s not seeing what’s not there. Lenny is there for him (or was, rather) without judgment. 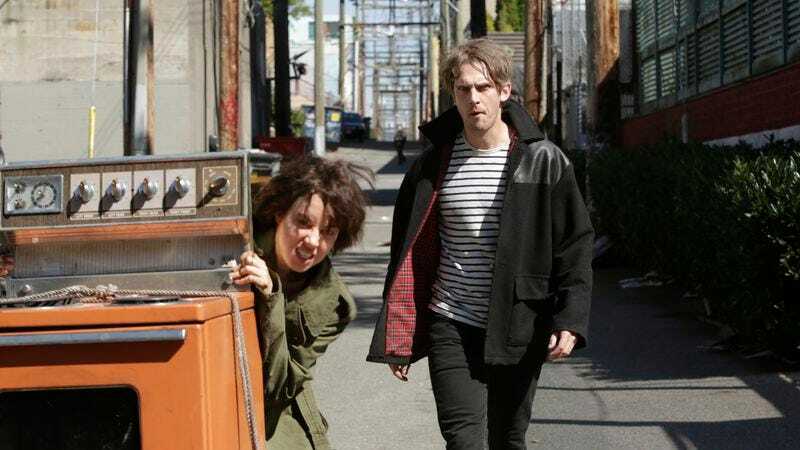 She’s happy to steal an oven and do drugs with him, and even if her junkie impulses can make her a little intense, he doesn’t need to worry about having to try. It was easier. But Syd is another case altogether. If his sister made him want to be normal, and Lenny let him just be himself, Syd makes him want to be better. Not only in the sense of his mental health, but as a person. He wants to be good for her; she pushes him to do, to try, more. It shows in a hundred little ways, from his efforts to avoid accidentally reading her mind to his willingness to not go off half-cocked when she begs him to stay. By staying and figuring out his powers, he can help his sister, but almost as important, he can help himself be the person he wants to be for Sydney. When he calls their relationship a “romance of the mind,” it’s more true than he even knows: David is falling in love with the idea of who Syd makes him become, at the same time that he’s falling for her. So David accepts this new world, in part because of Syd and his trust in her. (It doesn’t hurt to know she was just as in the dark about all of this as he was, prior to Melanie picking her up at Clockworks because she was inhabiting David’s body at the time.) But Melanie’s help is also very real. David is exploring his memories, hoping to learn something new. Unfortunately, those same memories are a hornet’s nest of trauma. “He’s too powerful,” Ptonomy reports, after David’s unconscious prevents them from visiting the memory of the kitchen incident. Instead he returns, time and again, to his childhood bedroom, and the story of the World’s Angriest Boy, where his past has somehow converged into a liminal space of comfort and fear—the place that is most “his” combined with a sense he’s in imminent danger. For every good memory of looking up at the stars with his father (and hearing them speak to him), David is fleeing the painful moments of his past. And those torments are visiting him in the present. When he projects out of the MRI machine, and sees his sister at Clockworks, just in time for the Eye to arrive and kidnap her as bait, his mind staggers. Perhaps that’s what the devil with the yellow eyes is—the visual manifestation of all that he can’t process and let go of, dragging him back into the part of himself that’s most fearful. No wonder he shot all the medical equipment out of the room at that very moment; David Haller is being pursued by his own mind. And if the devil turns out to be real, and some other menacing entity entirely? That’s two battles he’ll have to fight—on top of the war Melanie apparently expects him to win. David needs to start getting a good night’s sleep. He may be unavoidably reading Syd’s mind now and again, but he doesn’t feel comfortable letting her know the recesses of his own just yet. “Kids’ stuff,” he responds, when she asks what he’s exploring in his own head. The uncertainty with which David’s visions are able to be fitted into historical time often make the images even more threatening—that brief flash of his therapist’s face covered in blood, for instance. The trippy sensibility of the drug scene where David and Lenny smoke “vapor” is the best argument yet for this series being Aubrey Plaza’s transformative role. If anyone had any doubts she could break out of the box of playing under-emotive and dry types, her drug-addled manic behavior should put that to rest. She is superlative here. When he’s sitting and conversing with Ptonomy in that museum-like tableau after his first memory work, David keeps seeing a flicker of a mysterious woman around the edges of the installation. A little research shows a written difference between “Cary” the MRI technician and “Kerry” the woman in the same room who helped rescue David. I’m sure that’ll clear it right up, going forward.